Founded in 1982 by Vernon Jackson, OBE, JP , Marriage Officer, Cayman Weddings was the Cayman Islands’ first wedding planning company, and now has three marriage officers on staff. 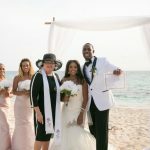 Managed and now operated by his wife, Francine, a Civil Registrar of Marriages, the company offers weddings from an intimate beach setting to the glamour of Pedro St James Castle. “Simply Weddings” a division of the company specialising in cruise weddings is managed by daughter Joy Basdeo, MBE, JP also a Civil Registrar of Marriages.. Cayman Islands law allows you to be married the same day you arrive on the island, making it a popular choice for cruise weddings. Vernon, Francine and Joy perform over 300 marriage ceremonies per year for couples from all over the world. and they are the company of choice for residents in this very international community. Each wedding includes all the legal requirements required by this British colony. 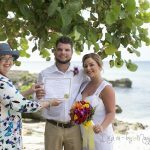 A Registered Marriage Certificate , the legal document produced by the Government of the Cayman Islands which is valid internationally, is provided within 3 working days of the ceremony, and either mailed to you or delivered to your hotel. Couples come from all around the world to experience the dream of a sunset wedding against the background of the turquoise water of the Caribbean sea. Other popular locations include the Queen Elizabeth Botanic Park, Pedro St James Castle, and even Hell, West Bay! 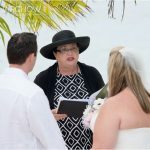 Your wedding ceremony should be as special as your love and Cayman Weddings have a variety of non-denominational, secular or spiritual ceremonies to choose from, all written by Vernon , a gentle warm-hearted man with a sense of romance that comes from 56 years of wedded bliss. Or you may choose to write your own vows, a personalised script of the ceremony is part of your package. Champagne on the beach? Definitely. Our vendors are all professionals, in keeping with the integrity and personal attention which is the hallmark of our company. We can provide other essentials such as witnesses, photography, videography,, wedding florals including special order flowers, and delectable wedding cakes from our own baker. Each of our weddings has the full attention of a wedding planner who is there throughout the ceremony. Your wedding planner can tell you about Caymanian wedding customs, and those extra touches which make your wedding day truly memorable. Wedding packages start at US$650. We also offer renewal, commitment and engagement ceremonies. 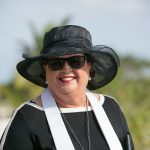 Visit our website at www.caymanweddings.com.ky or email us at weddings@candw.ky. For cruise visitors email mywedding@candw.ky See our blog at www.joyofweddings.blogspot.com for a light-hearted look at all things wedding-related from an experienced Caymanian wedding specialist. Credit cards accepted, deposit required to book your date and time. Now accepting bookings through 2009.